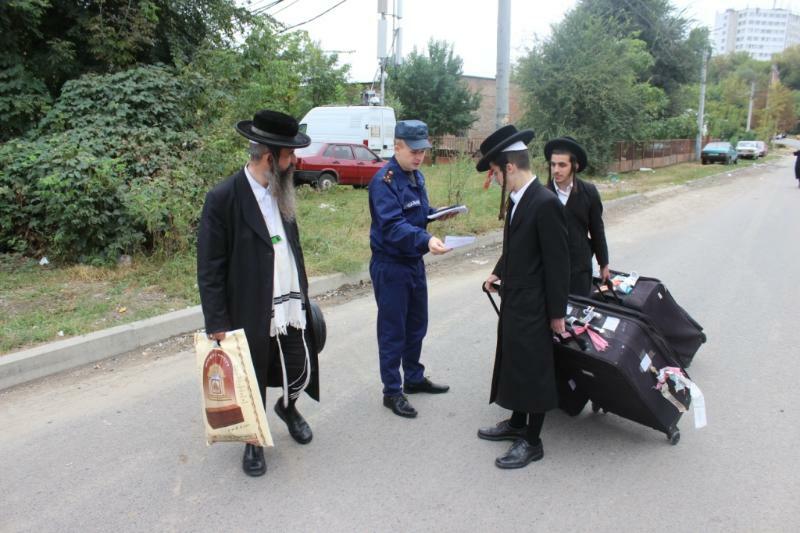 Once a year, a small town in central Ukraine - Uman - receives tens of thousands of pilgrims - the Bratslav Hasidim. They fly there from all countries of the world to celebrate Rosh Hashanah (Jewish New Year) near the grave of their leader and great-grandson of the founder of Hasidism tsadik Nachman. It is believed that if you meet the New Year there, it will be more happy and prosperous. 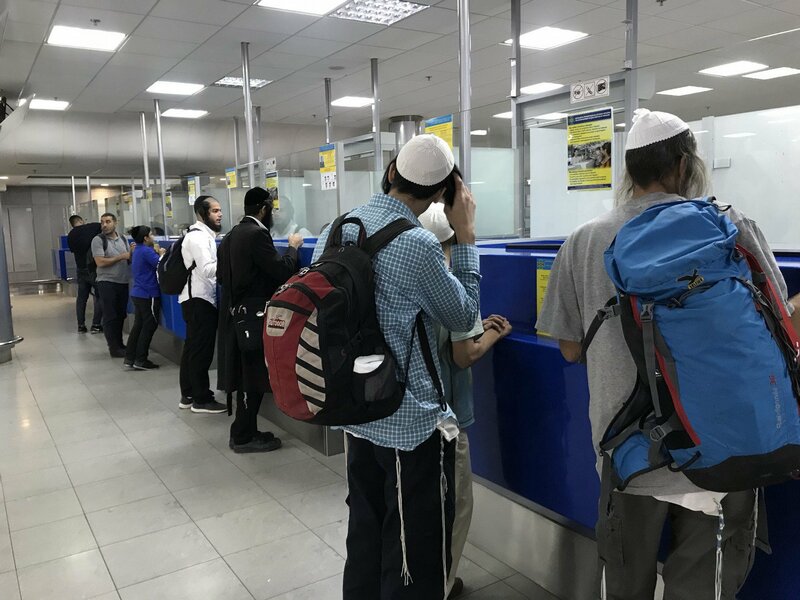 Although traditionally Rosh Hashanah is celebrated for three days (this year from 9th to 11th September), Uman begins preparing for the reception of guests long before that. And not only at the level of responsible services, which work in an enhanced mode for the celebration period with the aim of providing a more comfortable and safe stay of the Hasidiс pilgrims in the city. 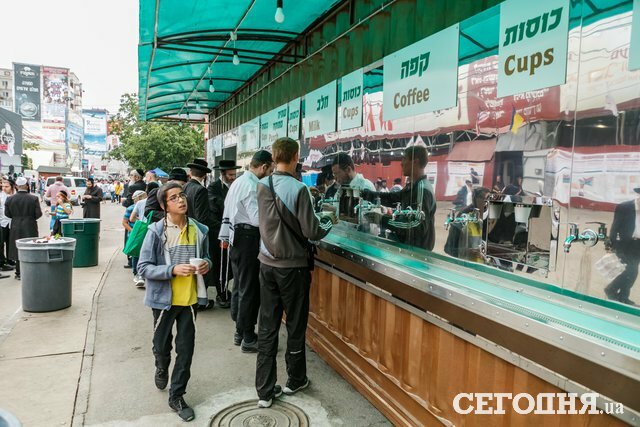 There are many signs in Hebrew with offers of accommodation and kosher food, local residents willingly trade goods, souvenirs and other things for dollars. Of course, prices are exorbitant. "Pushkin Street has absolutely different prices comparing to other parts of the city, a simple charger costs $ 10. The cord for Android is $ 6, $ 7 for the car," one of the local sellers told. But still, despite the hospitality, it is worth noting that citizens are not pleased by Hasidiс pilgrims in Uman. This is due to the fact that during their stay in the city, they change the established order and behave often not as guests. For example, they forbid women not only to visit the grave of tsadik Nakhman, but even to be on Pushkin Street, located 200 meters from the shrine. The residents complain massively about the noise and tons of garbage, which communal utilities can’t take out from the streets in time. Nevertheless, the Hasidiс men are satisfied. "The Ukrainians we met are very friendly and hospitable, I want to wish them to appreciate the opportunities they have: to be patriots, to love the country, God and other people," one of the pilgrims Israel Yehoshua told reporters of 112 Ukraine. 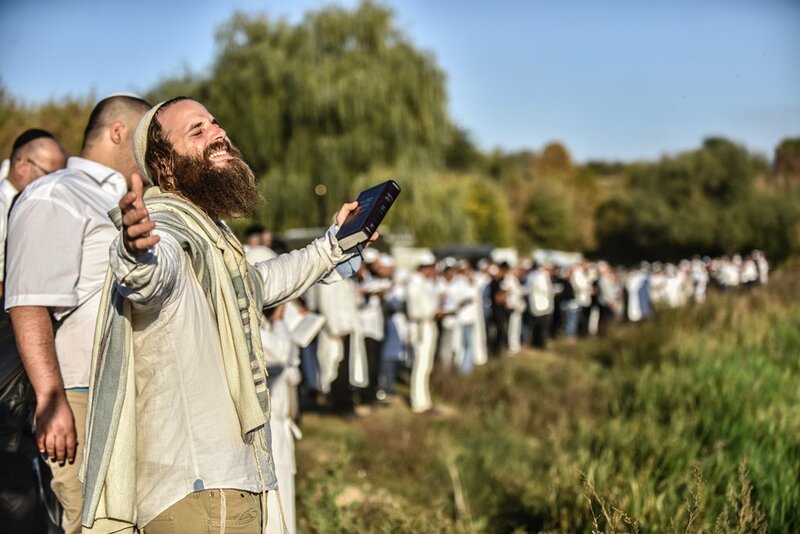 According to the latest data, by the 9th of September almost 28 thousand Hasidic pilgrims arrived to Uman for the celebration of 5779 year according to the Jewish calendar. Until the end of the celebration of Rosh Hashanah, it is expected that the number of guests can double. But already now some of them are going home. The Jewish New Year itself traditionally takes place with processions, dances, songs and fun. Well, at least it was the first day of the celebration. On the second day of Rosh Hashanah, the atmosphere in the city is different. According to the 112 Ukraine correspondents, in the morning pilgrims on the streets just talked to each other and did nothing. By the way, this day they cannot use motor vehicles, turn on electronic devices, listen to radio, watch TV, etc. By the evening the traditional bathing at sunset is expected. As noted in the police, at this time gross violations of public order during the celebration of Rosh Hashanah are not reported. 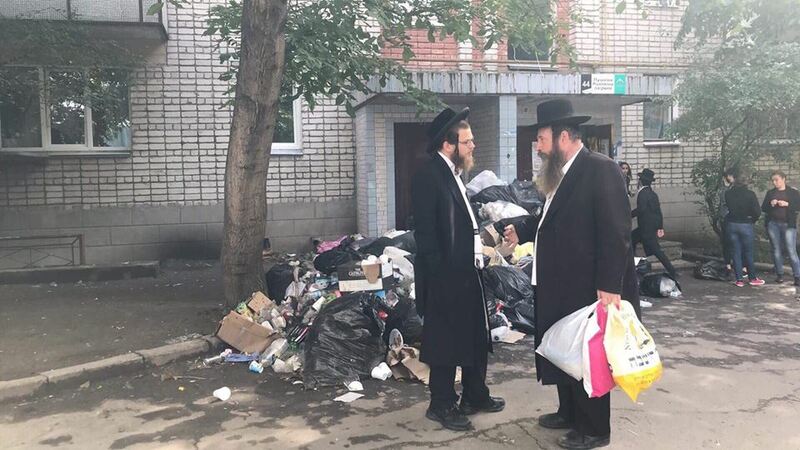 "Basically, the police received complaints from pilgrims about the loss of documents and petty thefts," Iryna Vinnitska, a senior inspector of the Uman police department in the Cherkassy region, told 112 Ukraine reporters. However, in personal conversation law enforcement officers say that they have several cases of drug sales. Sellers on the streets complained that the Hasidiс men steal their goods. 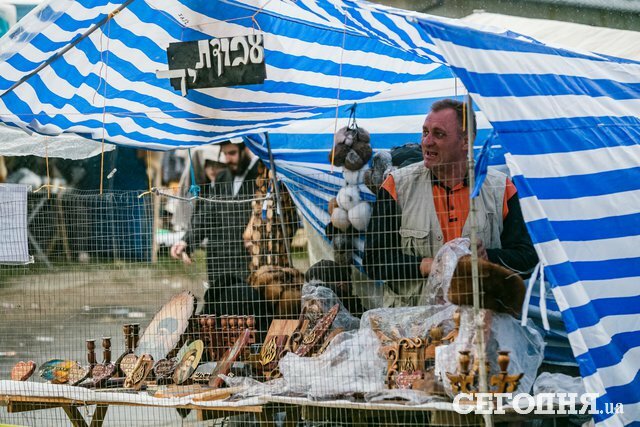 "We close it with nets, because we are afraid that they will steal, they come in five or ten people to the tent, it's impossible to watch everyone," one of the sellers told the journalists of 112 Ukraine. The State Emergency Committee, for its part, informsthat during the celebration of Rosh Hashanah, three fires were reported. On the night of September 10, during a detour on Pushkin Street rescuers noticed a fire on one of the balconies of the 6th floor of a 9-storey residential building. Having entered the room together with the police, they found a candle on the windowsill, because of which the garbage caught fire. The fire was liquidated on time. An hour later, in the same house, under similar circumstances, the rescue team found and liquidated the fire in the apartment on the 1st floor. There, the candle was left unattended on the refrigerator. As a result of the fire, no one was hurt.